Bishkaa: Anishnaabemowin For "Rise Up"
Fleming College respectfully acknowledges that we are situated on Mississauga lands and the traditional territory covered by the Williams Treaties. We are grateful for the opportunity to work and teach here and we thank all the generations of people who have taken care of this land - for thousands of years. We recognize and deeply appreciate their historic connection to this place. We also recognize the contributions of Métis, Inuit, and other Indigenous peoples, both in shaping and strengthening this community and country as a whole. This recognition is connected to our collective commitment to make the promise and the challenge of Truth and Reconciliation real in our Fleming community. One step was the signing of the Colleges and Institutes Canada's (CICan) Indigenous Education Protocol (IEP) which symbolizes our commitment to fortifying relationships with Indigenous communities while embedding intellectual and cultural traditions, as understood by Indigenous peoples, into our curriculum, and activities. No matter what path you come from, Fleming Indigenous Student Support Services with help make your transition to the college environment easier. Fleming College has many hopes and dreams for supporting Indigenous learners. Our departments work closely together to realize our commitment to the Indigenous Education. Our Indigenous Education Council is committed to developing and supporting Indigenous education aspirations through curriculum, programs, services and research. The Bishkaa program supports first year Indigenous students in their transition to Fleming College! The Bishkaa program provides a holistic approach to incoming Indigenous students' well being by utilizing Elder's teachings and experiences on the land. It begins as a two-week on-campus summer orientation program and continues as a mentorship throughout the school year. This year there will also be two weekend writing retreats built into the school year to help students stay on track and reconnect with all the Bishkaa students. Fleming College recognizes that First Nation, Inuit, and Métis communities are unique and often times Fleming students are traveling from far distances to attend college. We believe that by creating a community of all Indigenous peoples on campus that we can strive to succeed and encourage one another through this sometimes challenging experience. 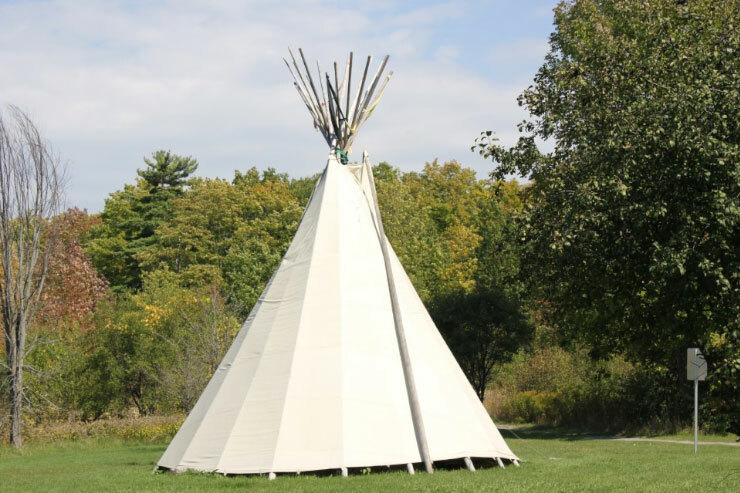 At least once a week, there will be a member of the Indigenous Student Services team in the Tipi at the Sutherland Campus. Come on out and enjoy the fire! Feel free to bring your lunch or hot beverage and visit with the Fire Keeper. The Indigenous Perspectives Designation (IPD) is replacing the Indigenous Emphasis Initiative formerly offered at Fleming College. The purpose of the IPD is to provide students who choose to access this optional learning with a more in-depth knowledge of Indigenous (First Nations, Métis and Inuit) peoples, their cultures, histories, traditions and contributions to our shared society. Many bursaries and scholarships are offered to First Nation, Inuit and Métis students. You may apply for these in conjunction with the Fleming General Bursary Application and/ or any other scholarships or bursary based on the eligibility requirements.